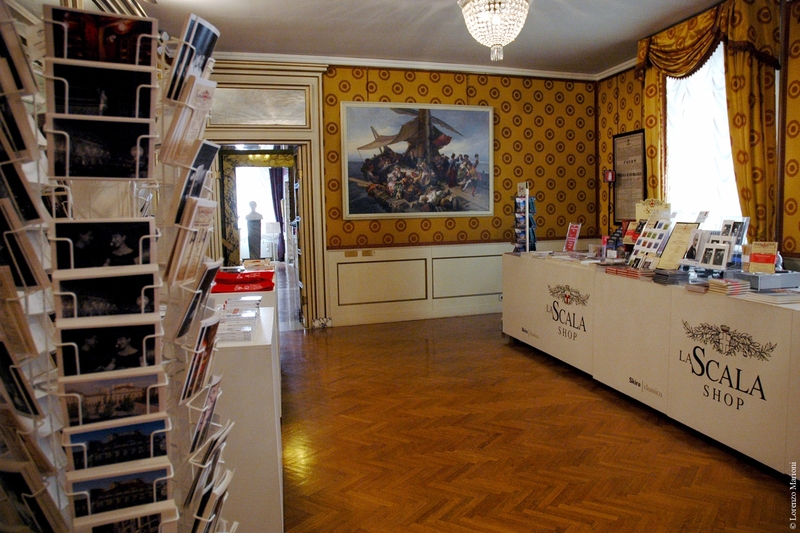 La Scala Shop where you will find CDs, DVDs, books and gadgets connected to the Theatre. You will find the shop at the end of your visit or it can be accessed directly from Largo Ghiringhelli. Next to the Museum entrance, you will find the Ristorante Teatro alla Scala “Il Marchesino”, managed by the renowned chef, Gualtiero Marchesi. “Il Marchesino” opens at 12.00 and a selection of 26 dishes; these include a menu of Milanese specialities , and another menu catering for lighter tastes. The cafeteria also offers pasta dishes, a variety of salamis and cooked meats, a selection of health foods and even Italian-style sushi.